Gain an intimate perspective on everyday life in the north as we shop from the town’s only grocery store, live under a boil water advisory and experience the unrivalled hospitality of northern communities. Get your hands dirty in the greenhouse and learn about food security and growing food in the north with the Indigenous youth leaders of Grow North. Develop your facilitation skills by planning and assisting with Community Engagement Training for northern community coordinators. Learn about country foods that have sustained Cree and Dene peoples in the north, try moose and caribou meat and discover the beauty of the boreal forest region. 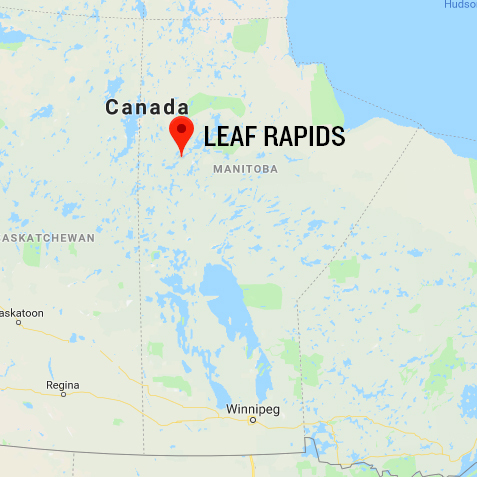 Get ready for Leaf Rapids: Northern Food Security with eight weeks of Community Engagement Training. Get to know your program team, learn about the Leaf Rapids and Cree peoples, and develop your skills in community engagement and project planning and assessment. Training dates will be determined based on the program team’s academic schedule. Get settled into your new home and community. We'll go on a town tour, explore the urban trails and hike the nearby forests and rock gardens. Meet the community members who will be part of your everyday life, from the school and library to the town hall, grocery store and cafe. Community organizing requires flexibility and adaptability. We'll meet with partners and collaborators during the first few days to finalize your community project. Though we would have started the discussion and planning weeks ago, things can always change when you head up north. Volunteer with Grow North, a boreal gardening project that grows vegetables, flowers and fruit in the sandy soil, long days and short season of the north. Learn about different agricultural techniques from Anishinaabe composting practices with fish carcasses to permaculture practices, like hugelkultur. Spend time with local Elder, Keith Anderson, and his family, community youth leaders and other welcoming community mentors. Count on kids inviting you to floor hockey, joining grannies for a walk around "the Collector" and reading a book or ten from Librarian Joan's amazing collection. You'll also finish planning your community project. Implement your community project with the school or another community group or organization. Past projects have included a community picnic, a fun day at the school, food literacy workshops for students, fermentation and cooking workshops for adults and elders and a storytelling and portraiture project with community Elders. Get out on the Churchill River to catch and fillet pickerel. It'll be worth the effort when you taste the delicious fish fry. Make friends with community members and share your cooking and baking skills -- maybe you'll come home with bannock-making skills or have a new recipe for moose meat stir fry. Wrap up your time in the north by visiting all of your new family and friends, giving thanks for what they have shared and saying goodbye. Assess your community project with your partners and collaborators, and reflect on what you've learned with your team. Get together one more time with your program team to reflect on your experience. By this time, strangers have become like family, and it’s a good chance to talk over your growth with people who understand.